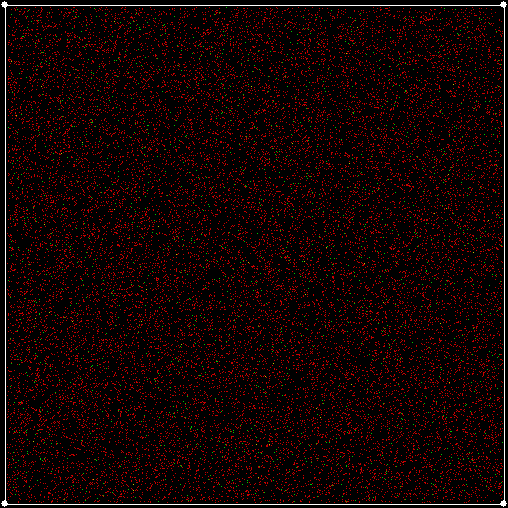 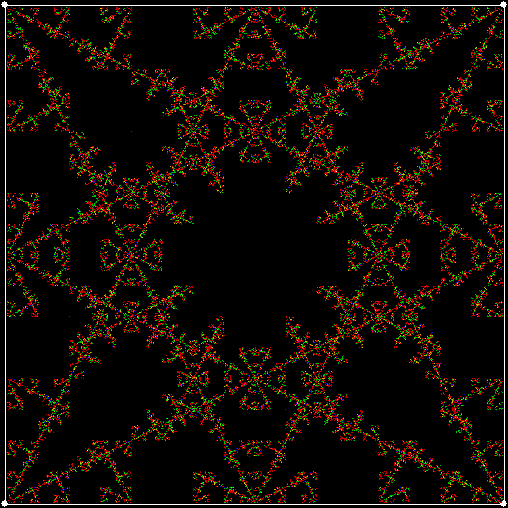 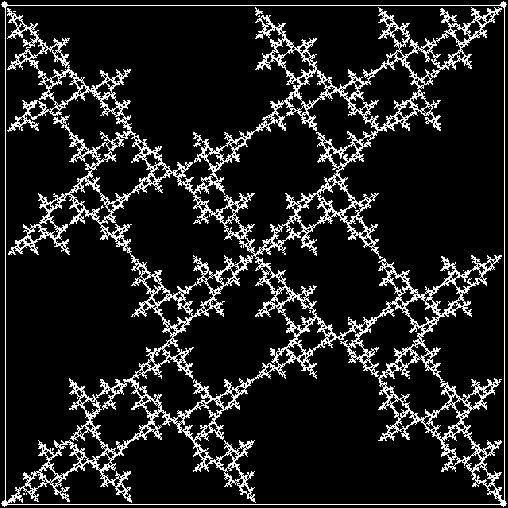 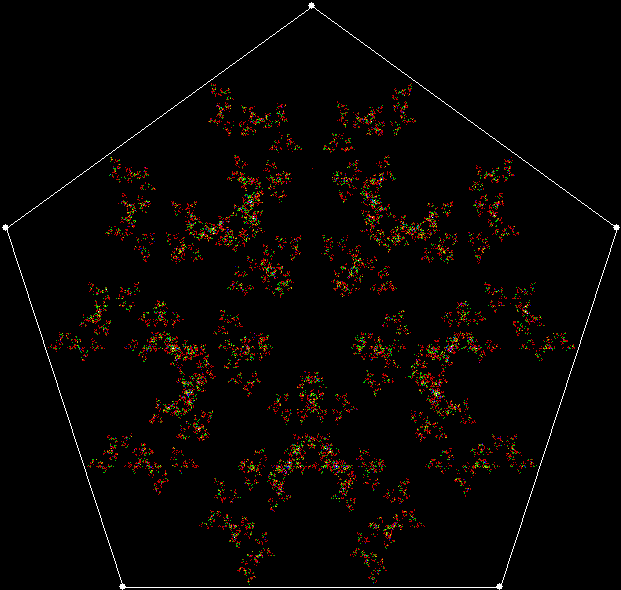 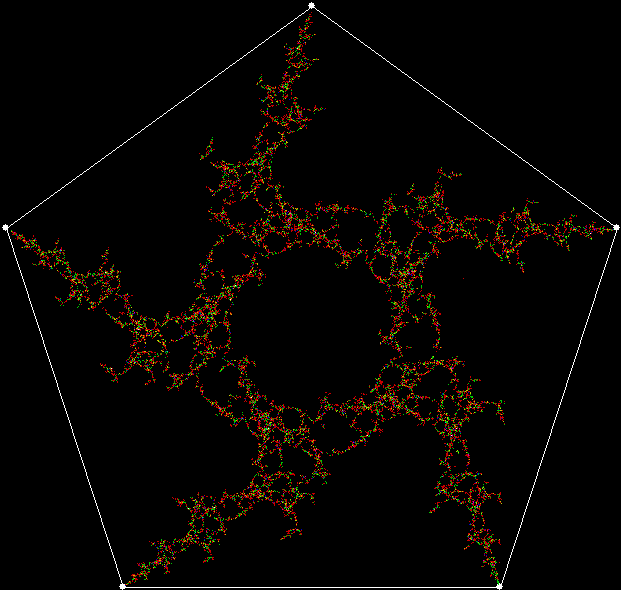 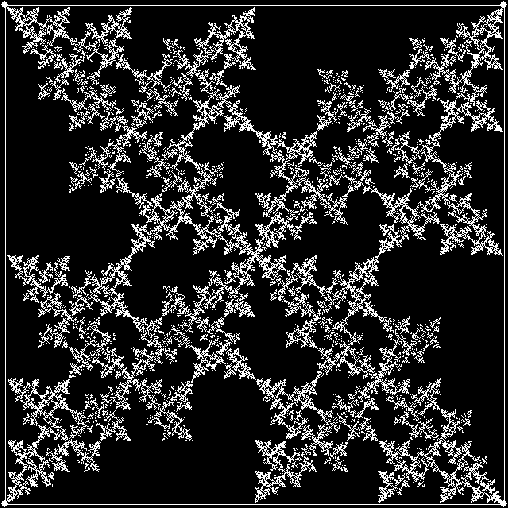 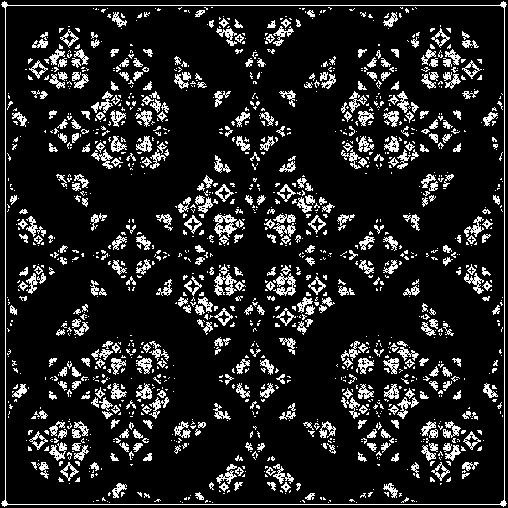 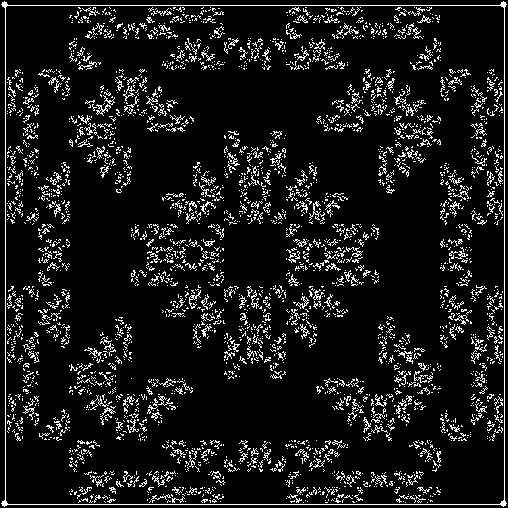 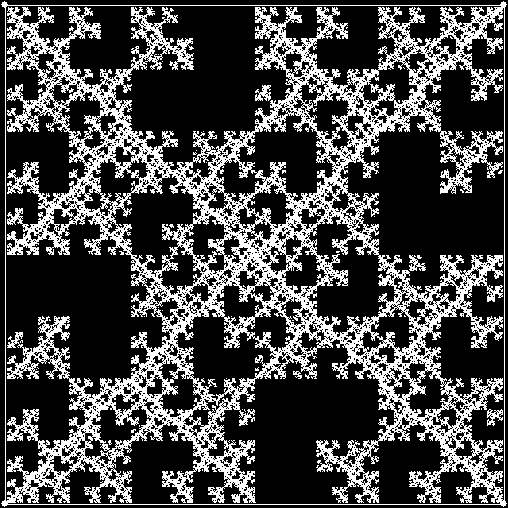 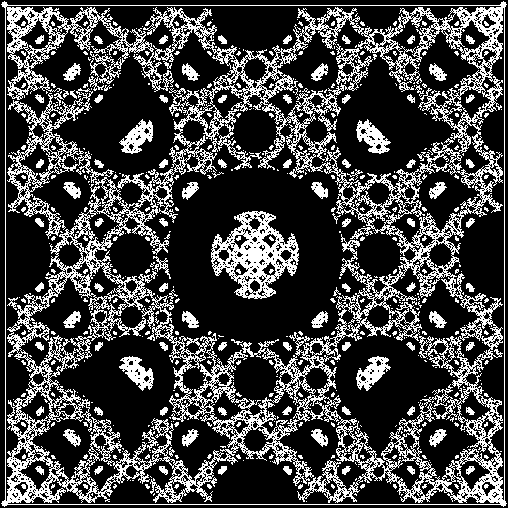 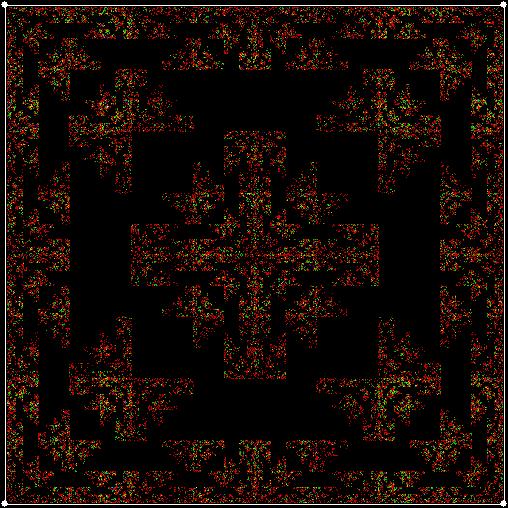 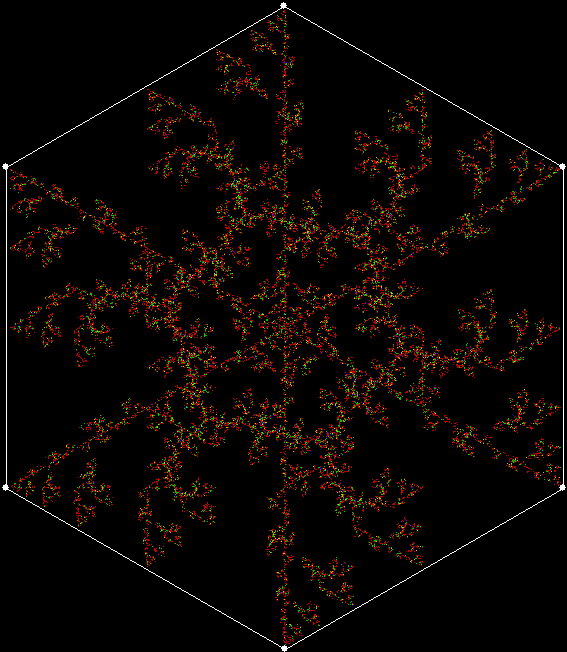 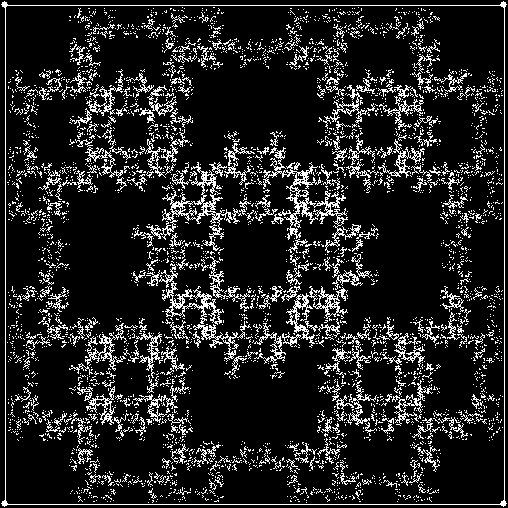 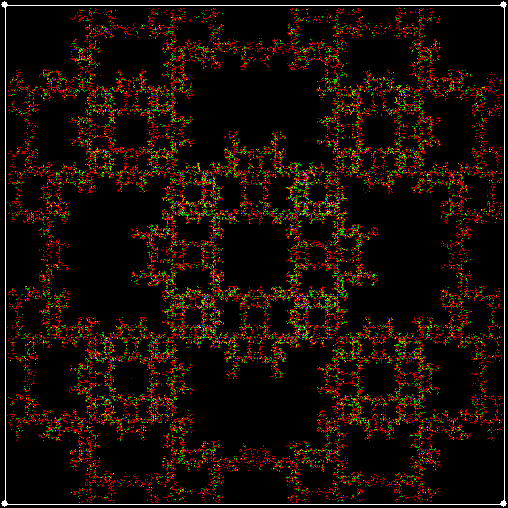 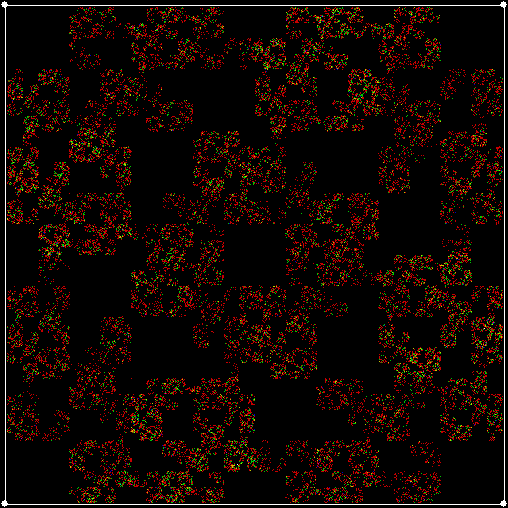 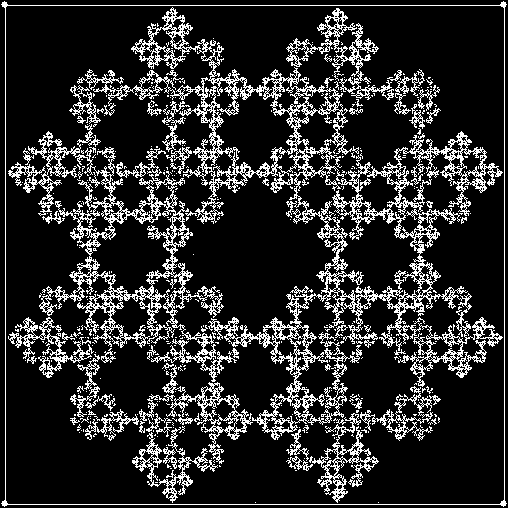 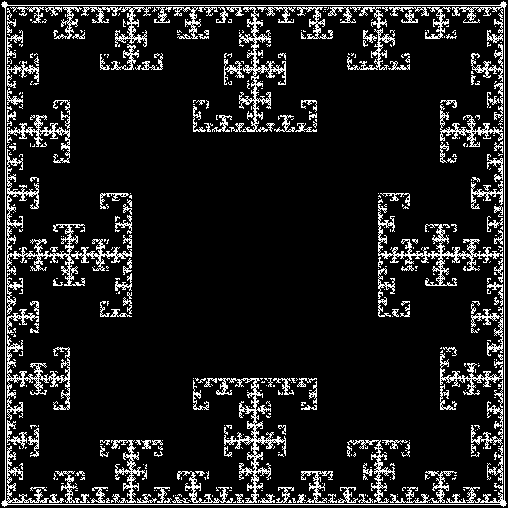 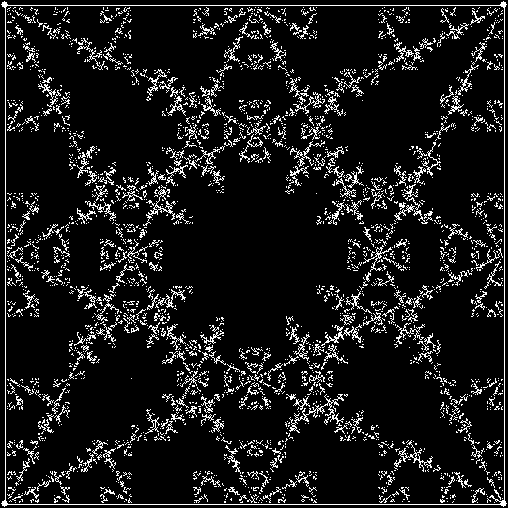 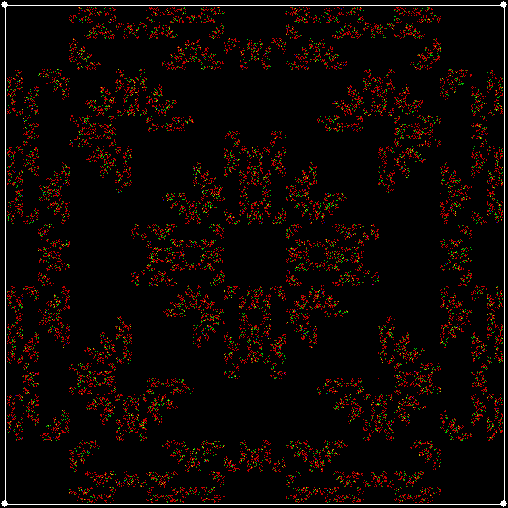 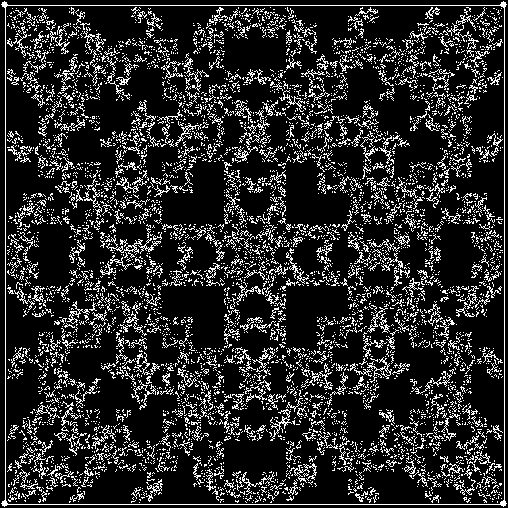 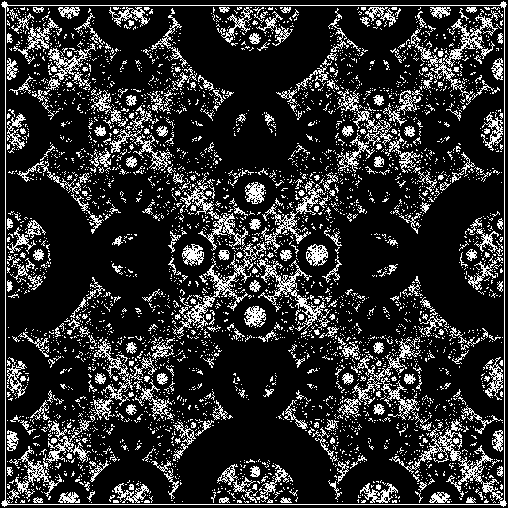 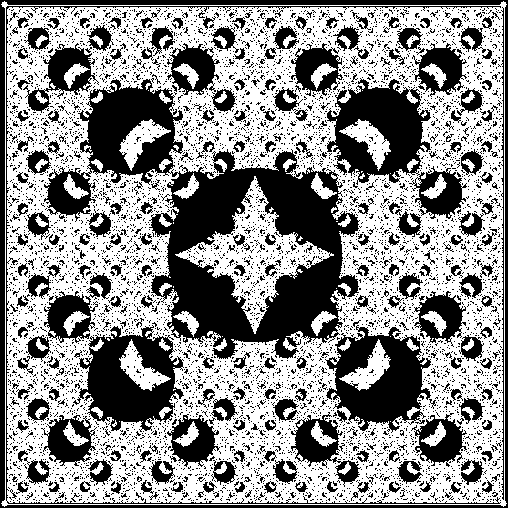 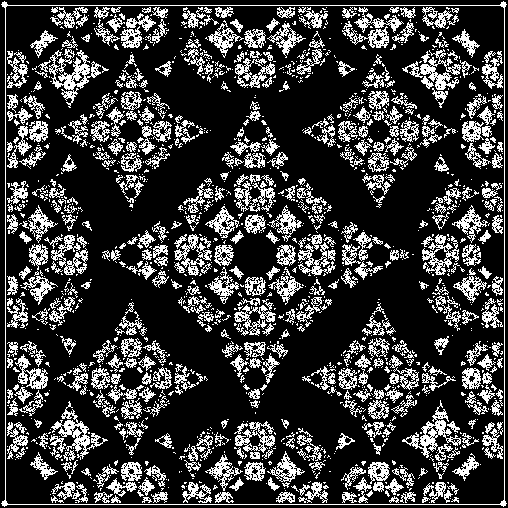 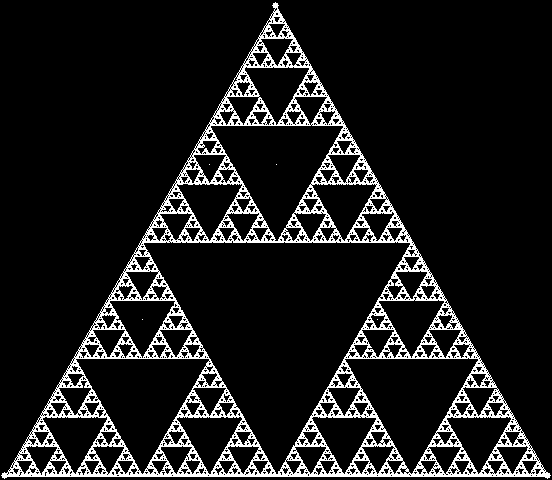 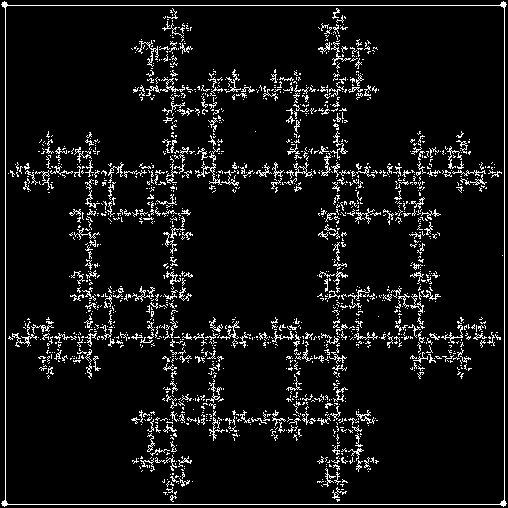 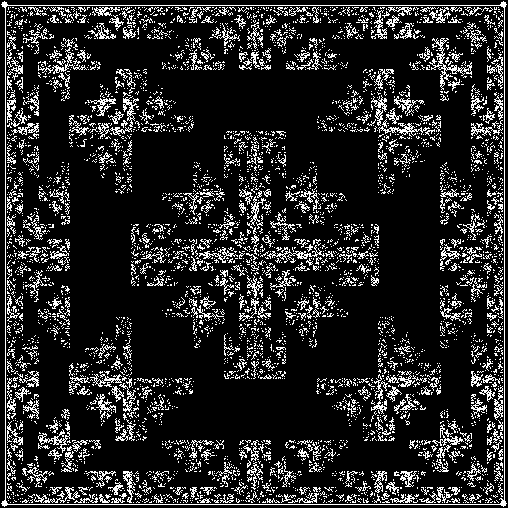 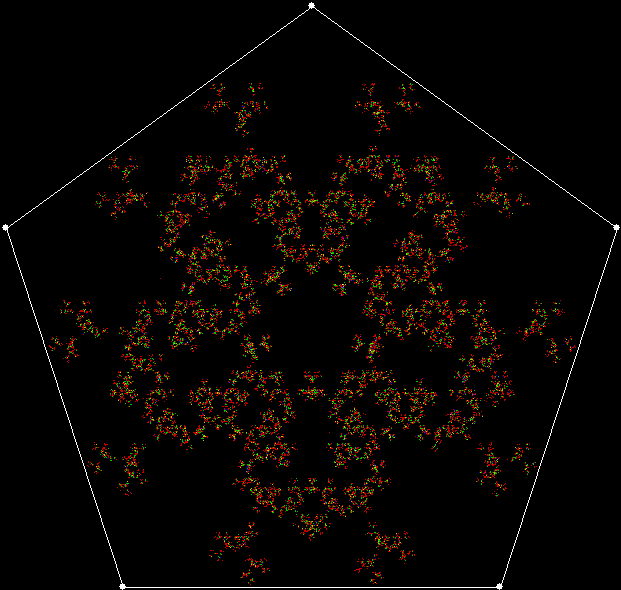 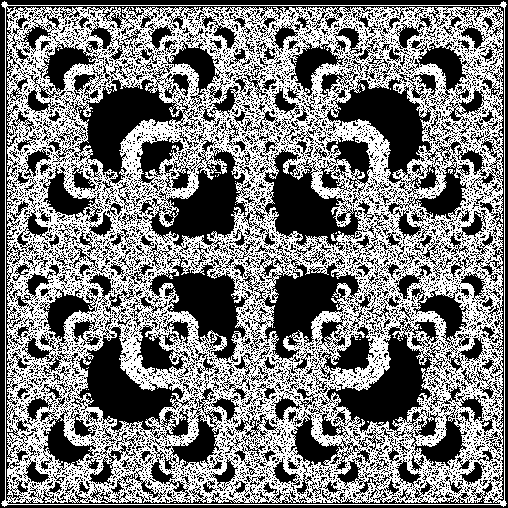 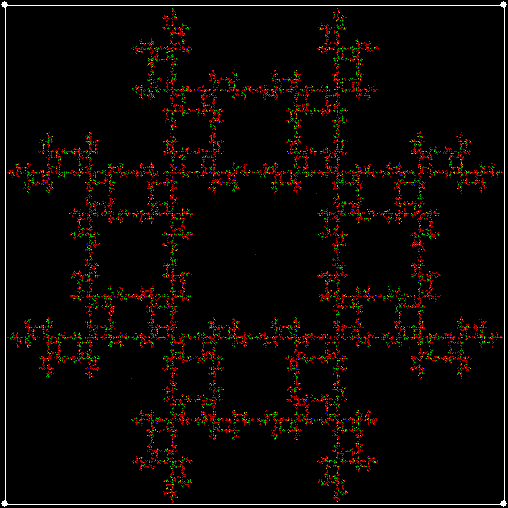 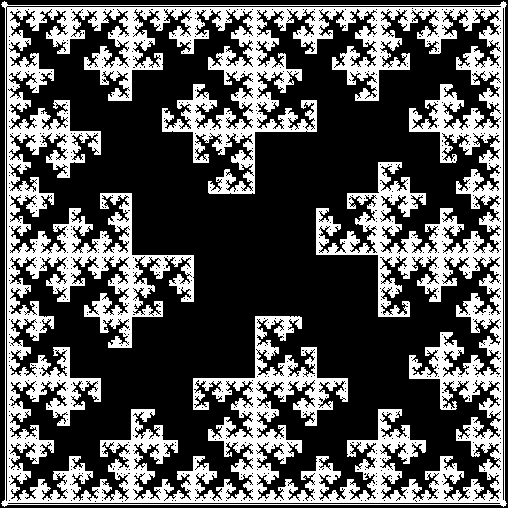 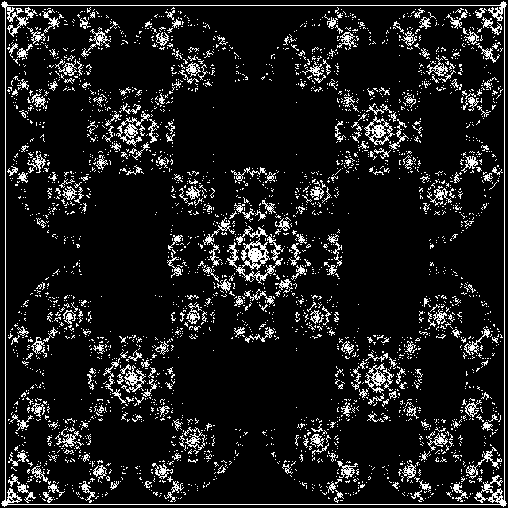 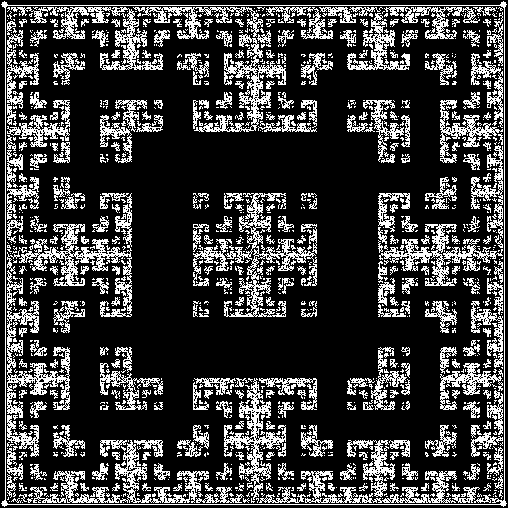 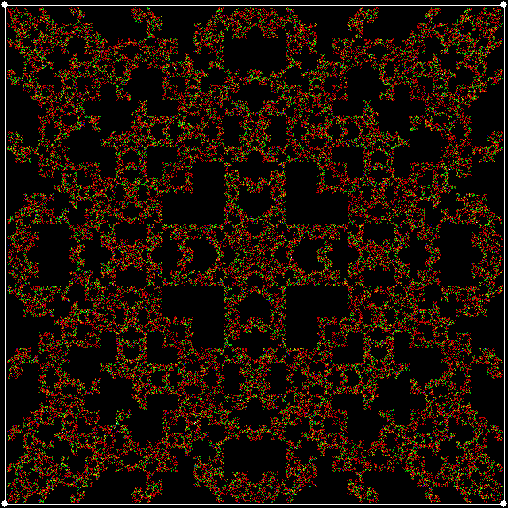 Previously I’ve looked at fractals created by a point moving half-way towards the random chosen vertex of a polygon. But you can also choose an initial vertex, then choose a new vertex by adding a random number to that initial vertex. 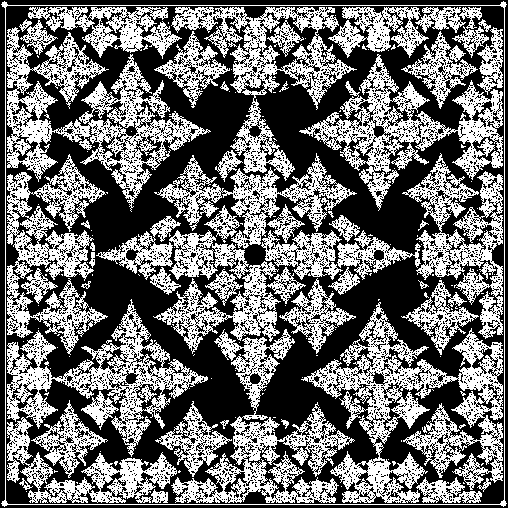 Then repeat. 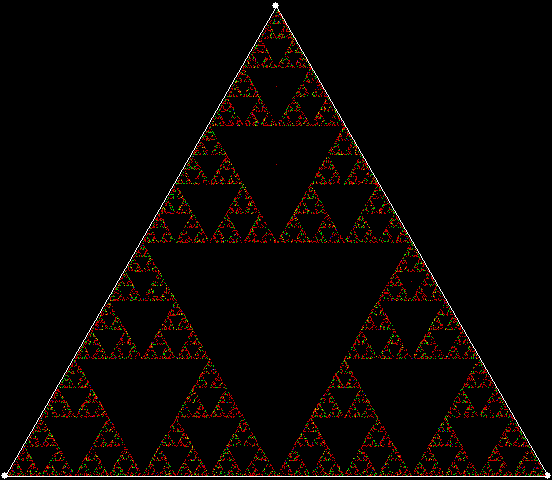 For example, if the polygon is a square and the initial vertex is v = 1, then choose v + 3 = 4 or v – 1 = 3, and so on.